Marie Drago is the brain behind Gallinée, the beauty industry’s first probiotic skin care range. After discovering how a prebiotic and probiotic diet could improve the symptoms of the gluten intolerance that had been plaguing her life for years, she had a eureka moment: what if we applied the same science to skin? 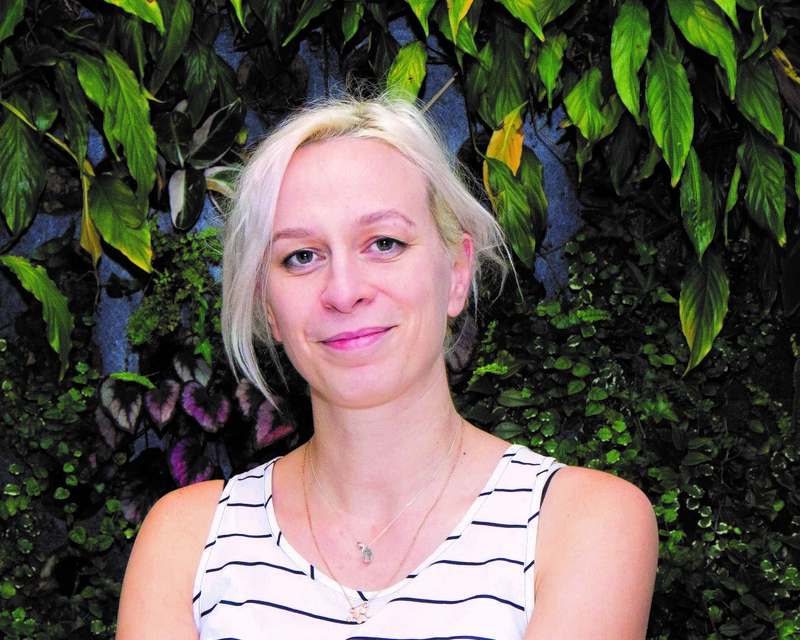 Drago’s thesis on the microbiome (the collective of micro- organisims in the body) and the enormous benefits of harnessing helpful bacteria gave her the vision and the knowhow to create Gallinée’s formulations. Earlier this year, Unilever Ventures acquired a minority stake in the brand. As a trained pharmacist used to focusing on medicines, what led you into skincare? I started my career in the pharmaceutical industry, but moved very quickly into the beauty industry as I liked the sense of ethics a lot better. I have now been working in beauty and skincare for 15 years, and have loved every minute of it! Pharmacy is a very expansive discipline, so you learn how products are conceived, assembled, manufactured and sold. It’s proved a very useful skill in the beauty industry! And what made you make the leap from working for brands to creating your own? For most of my career I worked for little startups and tiny distributors, or small subsidiaries of bigger brands. I loved how flexible you had to be all the time, how you never knew what the day would bring, and how you could create and move quickly. I was very lucky to work for some amazing entrepreneurs, including Marcia Kilgore [founder of FitFlop and Soap & Glory]. And I dreamt about doing the same thing one day. So when the time was right – and I was getting a bit bored in my last job – I took the step and never looked back. What did you learn from working with well-known brands? What were your main takeaways? I am always impressed at the long term planning and the processes that big brands put in place. That you can have a 5-year plan fascinates me! You also get the chance to work with very high- calibre people so I used it as an opportunity to learn as much as I could. But there’s definitely not the same kind of brand ‘ownership’, and you hear the sentence “but we’ve always been doing it that way” much too often for my taste. I have always felt more at ease in smaller structures. I love their problem-solving, initiative and speed. In Gallinée today I try to keep a culture of ownership and pride in the company achievements. 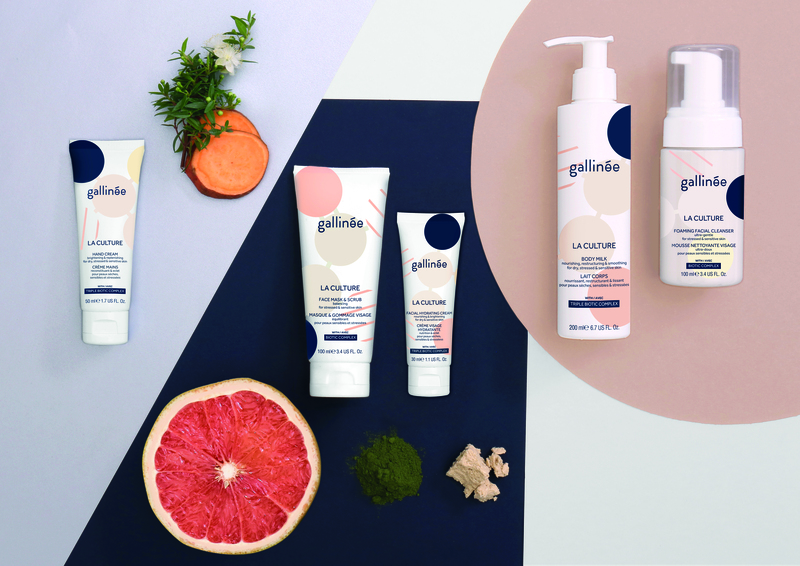 Gallinée is the first personal care brand to focus exclusively on the growing science of the human bacterial ecosystem: a major revolution in health, and a new field of research in dermatology for the treatment of acne and eczema. Do you think consumers truly understand the science behind skincare brands these days? I think the consumer is now very clued-up about ingredients. At Gallinée we get asked very challenging questions by our customers. I get really enthusiastic about the science behind the brand and I love to share it because the whole microbiome field is totally revolutionary. It’s always a bit risky to launch me on the subject – I can talk about science for hours! Brands sometimes use science as a way to distance themselves from the consumer. At Gallinée we try to treat science as something inclusive... we are all very happy nerds! What do you think is the biggest skincare mistake we make? Definitely washing too much, with alkaline products. Cleaning does not mean sterilising! In general, we need to be much gentler with our skin and work with it, not against. I always advise against harsh soaps, alcohol-based products and layering too much. This tends to perpetuate skin problems, and not fix them. In such a crowded market, how does your brand stand out? When we launched in 2016, we were the first brand in Europe to talk openly about bacteria in a positive manner. That made us a bit special, and we were lucky to get a lot of exposure. Our products are very gentle but also highly concentrated in actives, a rare combination in this industry. We developed quite a following from the start. How do you see Gallinée developing? How will it continue to excite the consumer? We are lucky to be small and to be able to develop very quickly in interesting directions. We have a lot of innovative products in the pipeline, which I am dying to tell you about, but am not supposed to… Prepare to see a lot of cool bacteria in very effective formulations! Which beauty influencers do you follow? Any international ones we should know about? I love the Beauty Brains, two scientists explaining cosmetics. I am a massive fan of Et Pourquoi Pas Coline (she’s super-French). In the UK I love Estée Lalonde and Caroline Hirons. I have a thing for fermentation influencers, if you can call it a category. Joey from High Mood Food makes me hungry every time. And the twins from The Gut Stuff are just the most funny and coolest people I’ve ever met. What is exciting you in the beauty world right now? I love the discussion around the microbiome, and how to create products that integrate the bacteria on our skin, and how to take care of them. That means we are going to see a lot of reformulations in the future. And it means that we are looking at the properties of actives but also their excipients: what they do and how they can help the microbiome. I have just returned from In-Cosmetics [the cosmetics ingredients show], where there was a lot of talk about reusing and upcycling natural ingredients. Sustainability is making its presence felt in the beauty industry, and that’s really interesting. And what product/s can you not live without? Outside of Gallinée products of course, I am a big fan of the Burt’s Bees lip balm (the grapefruit variant). I buy them in packs of five so that I can have them in my handbag, the bathroom, the kitchen, all my coat pockets… I barely use any makeup, but I always have the Soap & Glory KickAss concealer powder on me; I use it as a perfecting powder, and it’s also the best eye primer I have ever used!